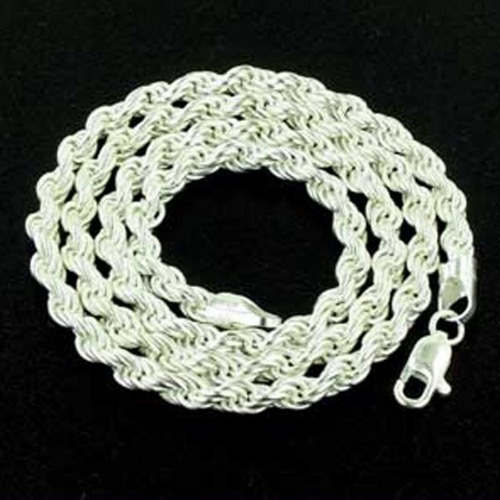 These solid silver rope chains, of the finest quality are made by renowned Italian chain manufacturers. 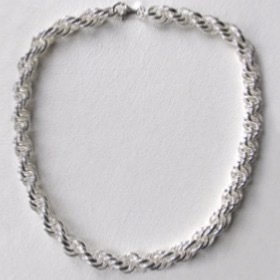 Our fine and chunky silver rope chains make excellent silver necklaces. 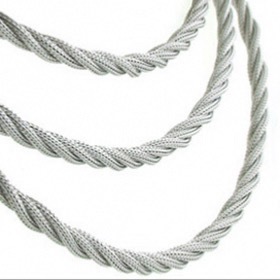 Our collection of silver rope chains includes 3 classic solid silver rope designs in widths 2mm, 2.3mm, 4mm and 6mm and a twisted mesh rope chain in width 7mm. 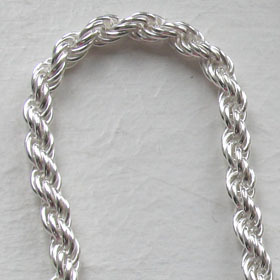 Many people chose our rope chains as a pendant chain. Our thicker rope chains work well with larger and statement pendants creating a feature necklace out of a pendant and chain. 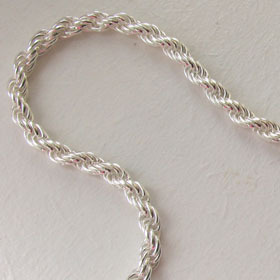 Worn alone, a silver rope chain is a graceful shimmer around your neck. 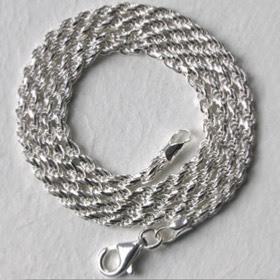 See the matching rope bracelets and have both delivered free anywhere in the UK. 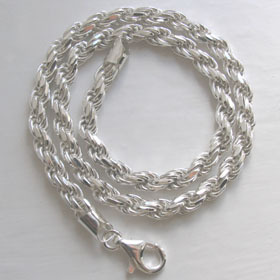 Italian diamond cut solid silver rope chain.